Click clack, click clack. You’ll hear these sounds ricochet off the cobblestone streets, the old, iron gilded buildings, and the aisles of the neighborhood supermarche. No, they’re not the sounds of euros falling out of pockets, nor are they the clicks coming from those high tech cameras you’ll notice on every tourist’s neck. Why, they’re Christian Louboutins, of course. You know the ones. The infamous red sole that you’ll catch a peek of when ordering your cafe au lait, while riding the subway, or possibly even in the five-story-deep Catacombs. And the thing is, that no one is surprised. That is because like New York City is the City That Never Sleeps, Rome is the City of Love, and L.A is the City of Angels, Paris is the City of Fashion. Fashion in Paris is like the crepe stations you’ll find on any corner while visiting Paris. Everywhere you look, and just as delicious as that Nutella et Banane crepe you’re savoring. Fashion has a long history in Paris. 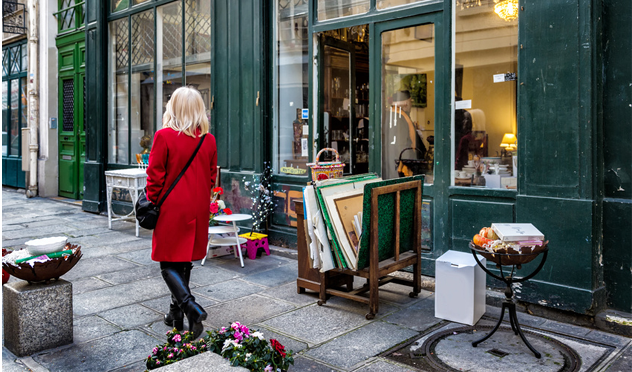 It is no secret that no matter where you come from to visit Paris — considering Paris is the number one tourist destination in the world, with 16.06 million international overnight visitors in 2015– you will be exposed to gorgeous French fashion. Here, we summarize some of the French designers that turn the Parisian streets into a catwalk. This French fashion house has been glamorizing the Parisian streets since 1854. It’s one of the world’s top luxury brands, and there is nothing better than buying an accessory dotted with those signature LVs. How about returning after a long day of Paris shopping to a luxury apartment where you can unwrap your goods and bask in their glory in private? We promise we won’t tell. Known for swank turn-of-the-century styles, Dior enjoyed making extravagant outfits that showed off a woman’s curves with rustles, bustles, and bunches of fabric. He is seen as the creator of haute-couture in the world of fashion, something that seems to be flowing through the veins of those ever-fashionable Parisians. This designer single-handedly brought the stiletto back to the global stage. Even though they can be seen worldwide, no Paris vacation is complete without seeing those red soles everywhere you go. Hey, why don’t you grab some for yourself while you’re at it?